The NNSA positively evaluated a contractor that had improperly disposed of nuclear secrets for decades. Despite the persistent problems, the National Nuclear Security Administration “gave Babcock & Wilcox a rating of ‘good’ on its annual performance review in a category including its control of classified information”, which earned the company an extra $10.6 million in bonuses for FY 2014. Moreover, when the mishandling was discovered, the NNSA opted not to fine the company $240,000 in penalties, believing it “had suffered enough” as a result of having additional bonus money withheld. Petraeus won’t be demoted and Broadwell not under active investigation. Photo: International Security Assistance Force. 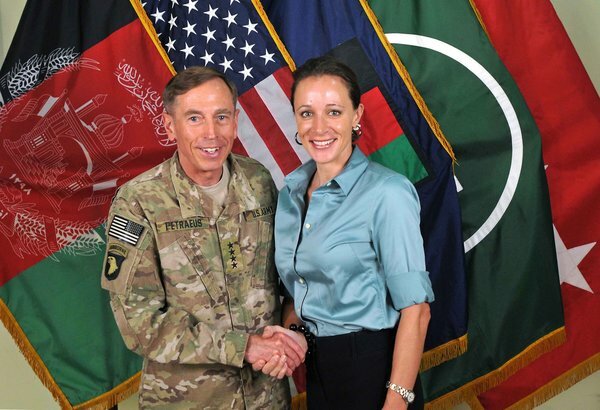 The Pentagon told the Senate Armed Services Committee that it will not demote former CIA director General David Petraeus for giving his biographer, Paula Broadwell, eight binders of highly classified information and then lying to FBI investigators about his actions. While Petraeus avoided jail time, reports surfaced that the DOD was considering “downgrading Petraeus to a three-star general” after he pleaded guilty to a misdemeanor charge of mishandling classified information. The Pentagon told Senators, however, that “The Army completed its review of his case and recommended no additional action.” An Army spokeswoman also recently announced that Broadwell, who is still an active Army Reserve officer, is not under any active investigation. Aaron Swartz declined a plea bargain in his JSTOR case. The Department of Justice told Jason Leopold that it has no documents on Aaron Swartz, the computer programmer and internet activist who committed suicide in 2013 shortly after declining a plea bargain after being charged with wire fraud and violating the Computer Fraud and Abuse Act for downloading several million JSTOR articles. The DOJ is taking the bizarre stance that it has no documents in spite of the fact that its US Attorney’s Office in Massachusetts prosecuted the Swartz case and the Department of Homeland Security has previously released emails exchanged with the DOJ on the Swartz’s case in response to a FOIA lawsuit. 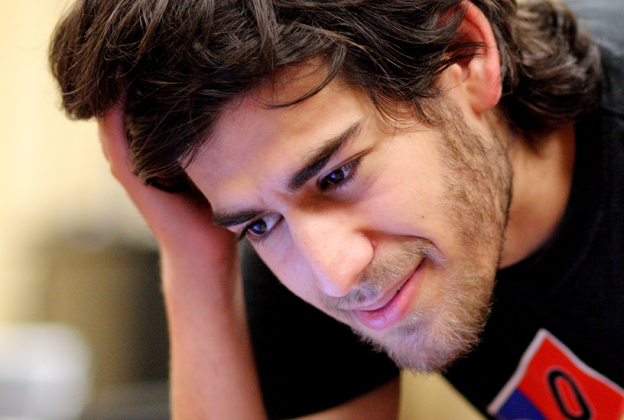 Swartz also developed Secure Drop, which accepts encrypted documents and facilitates communication between sources and journalists while maintaining the source’s anonymity, to protect government whistleblowers. The Washington Post recently reported on the CIA practice of deceiving its own workforce by planting memos that contain false information – known as “eyewash” – as a way to protect secrets. According to The Post, “In one instance, leaders at CIA headquarters sent a cable to the agency’s station in Pakistan saying operators there were not authorized to pursue a potentially lethal operation against the alleged al-Qaeda operative known as Abu Zubaida. But a second set of instructions sent to a smaller circle of recipients told them to disregard the other message and that the mission could proceed.” Troublingly, “Beyond the internal distrust implied by the practice, officials said there is no clear mechanism for labeling eyewash cables or distinguishing them from legitimate records being examined by the CIA’s inspector general, turned over to Congress or declassified for historians.” While officials say separate channels are used to convey accurate information, at least two “eyewash” cables are cited in the Senate Select Committee on Intelligence’s report on the CIA’s Torture Program. Political Science Quarterly says of National Security Archive Deputy Director Malcolm Byrne’s latest book, Iran-Contra: Reagan’s Scandal and the Unchecked Abuse of Presidential Power, “[I]f Byrne sought to write an account of Iran-Contra that was as thorough as it was readable, he has succeeded. Of the books on this topic, this stands among the best and will likely remain in that group for the foreseeable future.” Utilizing tens of thousands of pages of previously classified documents, Iran-Contra is the first full-length account of the affair to study and assess the various official investigations that were convened — the Tower Commission, the joint congressional hearings, and the independent counsel’s inquiry. Iran-Contra concludes that the affair could not have occurred without awareness and approval at the very top of the U.S. government. Byrne reveals an unmistakable pattern of dubious behavior — including potentially illegal conduct by the president, vice president, the secretaries of state and defense, the CIA director and others — that formed the true core of the scandal. 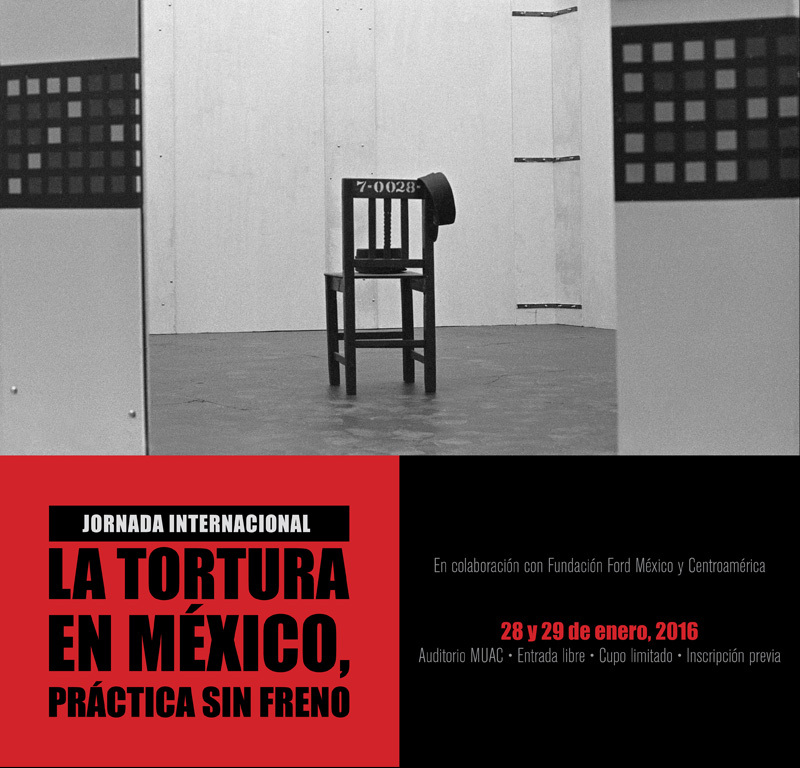 National Security Archive Senior Analyst Kate Doyle recently gave the keynote address for the “La Tortura en Mexico: Practica sin Freno” conference hosted by Mexico National University’s Museum of Contemporary Art. Doyle — who led the Archive’s publishing of the Mexican government’s unprecedented draft report on the nation’s “dirty war” in 2006 — said that torture in Mexico has become “routine and bureaucratic institutionalized process…a bad habit.” The 2006 report accuses three Mexican presidents of a sustained policy of violence targeting armed guerrillas and student protesters alike, including the use of “massacres, forced disappearance, systematic torture, and genocide.” The report makes clear that the abuses were not the work of individual military units or renegade officers, but official practice under Presidents Díaz Ordaz (1964-1970), Echeverría (1970-1976) and López Portillo (1976-1982). Did you catch Stephen Colbert’s Donald Rumsfeld interview? The star of the segment was a declassified document that shows that before the Iraq invasion, US “knowledge of the Iraqi nuclear weapons program [was] based largely – perhaps 90% – on analysis of imprecise intelligence.” Read more about the document, and how it bolsters previous National Security Archive Iraq War analysis, here. This week’s #tbt pick is a 2004 posting on the government censoring aviation warnings in the lead-up to 9/11. The posting notes how the Transportation Security Administration refused to release the texts or even the titles of five aviation warnings given to airlines just before the 9/11 terrorist attacks, even though the titles and substance of the warnings have been published in the best-selling 9/11 Commission report. The TSA cited five different FOIA exemptions to conceal its dubious secrets, and blacked out even the unclassified information – such as the document titles and numbers – claiming that this information fits in the “Sensitive Security Information” category.